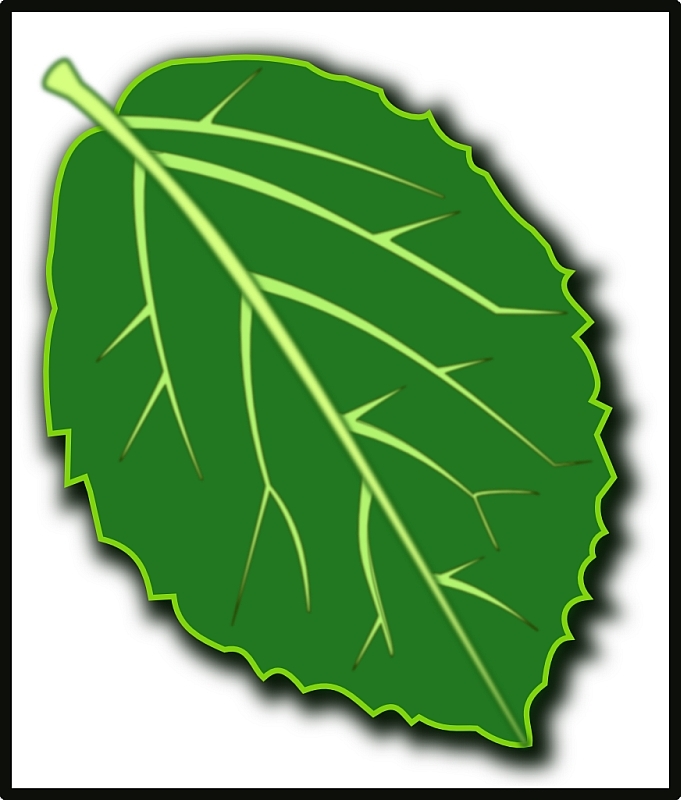 I’m working hard to get my Tompkins Trees map ready for printing. I’d like community feedback on the names I’m using on the map for the various areas of the map before printing. Most of these areas don’t have official names from the Parks Department or its employees. 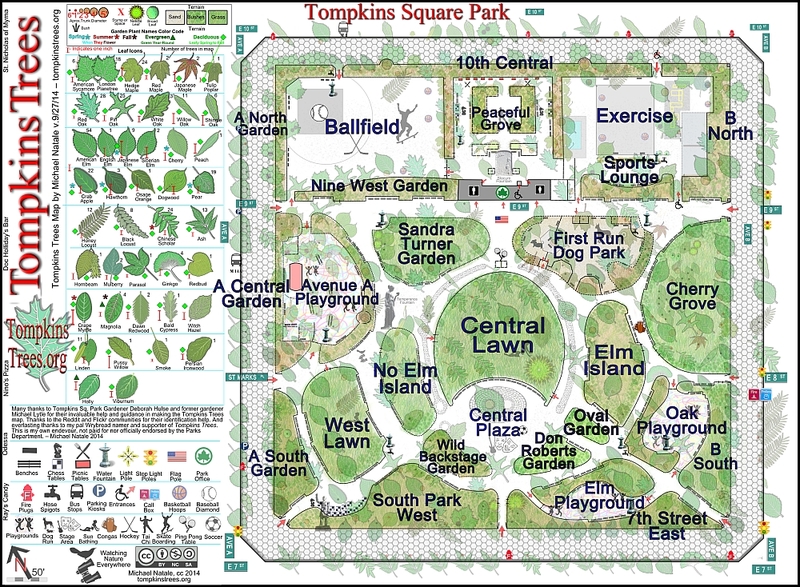 There are a few that do such as The Sandra Turner Garden, The First Run Dog Park, and The Don Robert’s Garden. Other areas such as the Avenue A Playground, the Oval Garden, the Central Lawn and Central Plaza are commonly used. I’ve given names to the other areas, or Islands as I call them, they are mostly the fenced in areas of the park. I needed to name these areas to keep track of the various trees as I identified them. Peaceful Grove, the area behind the Park Office, that was formerly reserved for children. Now it is used as a picnic area, and for quiet meditation and Tai Chi. There are also sprinklers for the kids in the summer. The other areas in the north of the park are the Ballfield and the Exercise areas. This part of the park was created by Robert Moses in the 1930’s. I’m not sure if there are official names for the two smaller playgrounds. 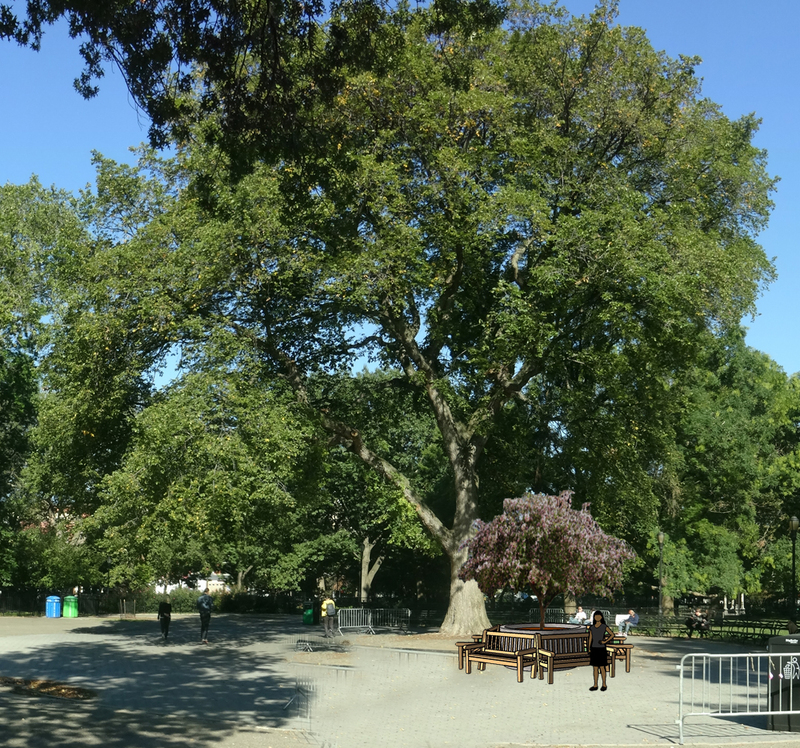 I’ve heard them called the smaller and larger playgrounds on B. I call them the Oak Playground and the Elm Playground because of the predominating trees surrounding them. I call the fenced in areas immediately west and east of the Central Lawn, No Elm Island and Elm Island Elm Island lost one of its great American Elms this past year. Tompkins Park gardener Deborah Hulse has taken to do much planting in this formerly desolate area, check it out there are now many varied garden plants there now. The southwest area of the park I call South Park West, because it is a bit anarchistic, and the name amuses me. Cherry Grove named because of the many cherry trees planted there in recent years. West Lawn This area has this year been re-seeded and opened to the public though no one seems to know it yet. Sports Lounge Another tongue-in-cheek name for the area just south of the exercise area. Wild Backstage Garden is an aspirational name, as I am hoping the Parks Department will plant more native plants in Tompkins. This is adjacent to where the old bandshell used to be and where temporary stages are placed for performances. 10th Central, A North Garden, A Central Garden, A South Garden, 7 East, B South and B North are self explanatory being along Avenue A and B, 7th Street and 10th Street. Please leave the names you call the various areas of the park in the comments. 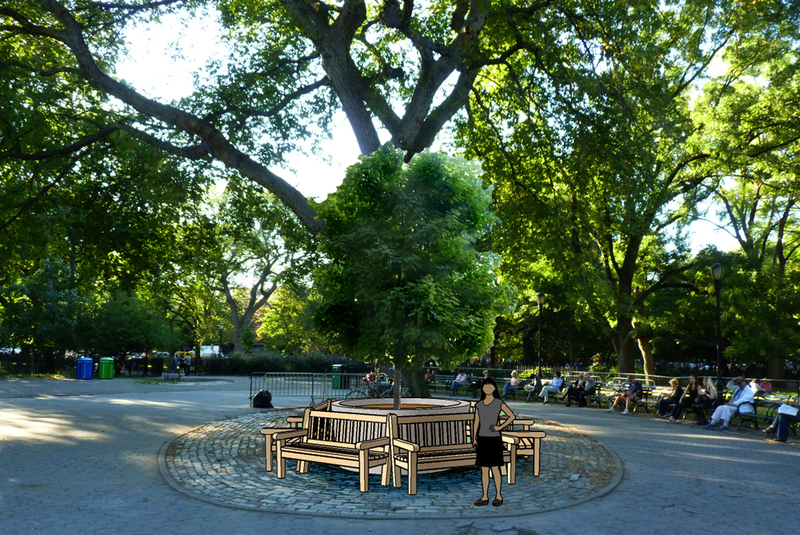 After wrestling with Sketchup for a few hours, here’s my proposal for memorial benches and potted tree to restore some shade to the Central Plaza and memorialize the Leaning American Elm just removed. I propose a potted tree as they cannot dig into the spot for fear of damaging the roots of the Krishna Tree. 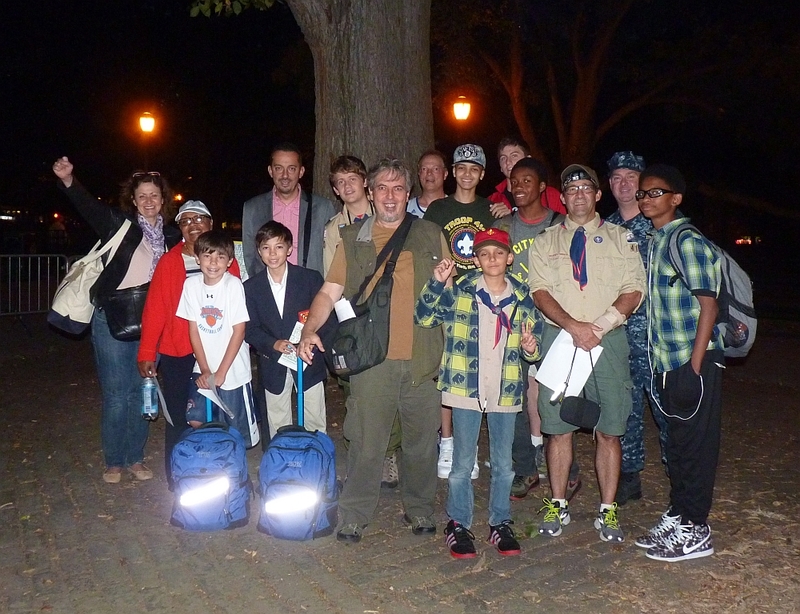 I took Boy Scouts Troop 414 from 14th Street on a quest to identify 10 trees for tree identification merit badges. We used the latest version of my Tompkins Trees map (I’ll post it here soon). We met at 6:30 just before sunset and had to use flashlights for most of the walk. They are a great bunch of kids and I had a great time with them.